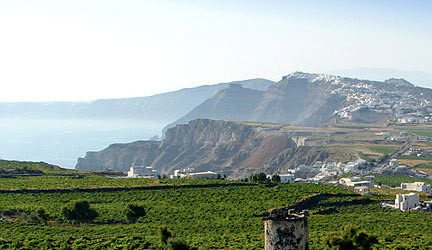 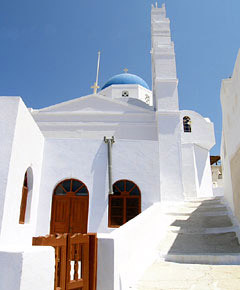 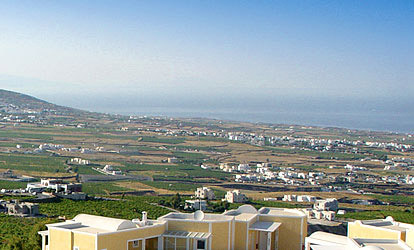 Pyrgos is a typical Fortress Settlement of the Cyclades. 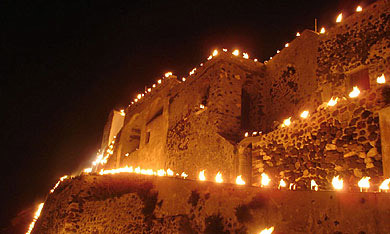 On the hilltop you can find ruins of Kasteli Castle, one of the five 'kastelia' on the island. 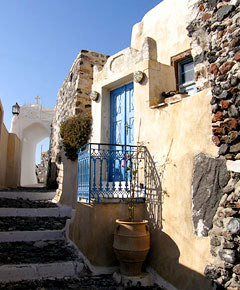 Although there are many reports that Pyrgos was the capital of Santorini in the mid 18th century, the truth is that Pyrgos has never been the island's capital.There is a memorial plaque near the entrance to the castle, commemorating those who died in the Second World War.